Book DescriptionGrandmaster Repertoire is a new series of high quality books based on the main lines, written by strong grandmasters. The aim is to provide the reader with a complete repertoire at a level good enough for elite tournaments, and certainly also for the club championship. 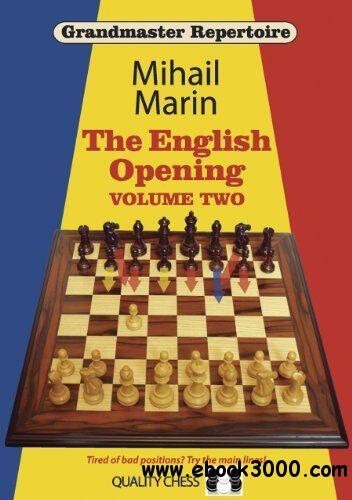 Mihail Marin reveals his own white repertoire with 1.c4, the English Opening. In Volume Two, Marin covers all Black's replies to 1.c4 except 1...e5 and 1...c5. The theory is state-of-the-art with many novelties suggested, but most useful of all are Marin's lucid explanations of how to play the resulting positions. Mihail Marin is a grandmaster from Romania. His previous books for Quality Chess have established him as one of the world's finest chess authors. Marin's recent tournament successes, using this repertoire, increased his rating to a personal best of 2616.